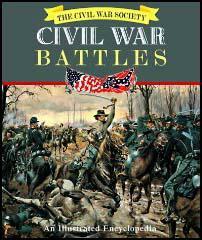 In May, 1863, Joseph E. Johnston ordered General John Pemberton to attack Ulysses S. Grant at Clinton, Mississippi. Considering this too risky, Pemberton decided to attack Grant's supply train on the road between Grand Gulf and Raymond. Discovering Pemberton's plans, Grant attacked the Confederate Army at Champion's Hill. Pemberton was badly defeated and with the remains of his army returned to their fortifications around Vicksburg. After two failed assaults, Grant decided to starve Pemberton out. This strategy proved successful and on 4th July, Pemberton surrendered Vicksburg. The western Confederacy was now completely isolated from the eastern Confederacy and the Union Army had total control of the Mississippi River. (1) In his autobiography, Personal Memoirs of U. S. Grant , Ulysses Grant explained the importance of capturing Vicksburg. Vicksburg was important to the enemy because it occupied the first high ground coming close to the river before Memphis. From there a railroad runs east, connecting with other roads leading to all points of the Southern States. A railroad also starts from the opposite side of the river, extending west as far as Shreveport, Louisiana. Vicksburg was the only channel, at the time the only channel connecting the parts of the confederacy divided by the Mississippi. So long as it was held by the enemy, the free navigation of the river was prevented. Hence its importance. Points of the river between Vicksburg and Port Hudson were held as dependencies; but their fall was sure to follow the capture of the former place. You will proceed, with as little delay as possible, to Memphis, Tennessee, taking with you one division of your present command. On your arrival at Memphis you will assume command of all troops there. As soon as possible move them down the river to the vicinity of Vicksburg, and with the co-operation of the gunboat fleet under command of Flag-officer Porter proceed to the reduction of that place in such manner as circumstances, and your own judgment, may dictate. The amount of rations, forage, land transportation, etc., necessary to take, will be left entirely with yourself. The Quartermaster at St. Louis will be instructed to send you transportation for 30,000 men; should you still find yourself deficient, your quartermaster will be authorized to make up the deficiency from such transports as may come into the port of Memphis. 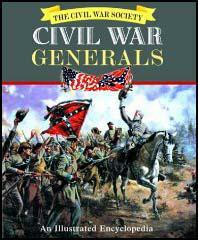 Throughout the battle the conduct of the general officers was excellent, with a few exceptions. 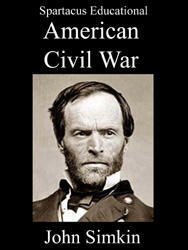 General Sherman was so exceedingly erratic that the discussion of the past twelve months with respect to his sanity, was revived with much earnestness. that for which there had been so fierce a contest, and, while we could not take possession of it, the rebels did not choose to occupy it. Daybreak, sunrise, noon, sunset and night, and still the wounded uncared for. What must have been their suffering! ball and chain, in retaliation for the emancipation proclamation of the President. They expressed the utmost confidence in their ability to hold Vicksburg against the force now before it. From their statements it was inferred that Price was in command at Vicksburg, and that Tilghmans division was to arrive there on that day. There were evidently strong grounds for their hopes. They were well posted as to our strength, and informed us of the exact number of our transports and gunboats, and gave the number of men in the expedition with surprising accuracy. were but poorly supplied with many needed stores. Since the battle General Sherman has persistently refused to allow a hospital boat to go above, though their detention in this region is daily fatal to many lives. The only known reason for his refusal is his fear that a knowledge of his management will reach the people of the North. This news, with the victory at Gettysburg won the same day, lifted a great load of anxiety from the minds of the President, his Cabinet and the loyal people all over the North. The fate of the Confederacy was sealed when Vicksburg fell. Much hard fighting was to be done afterwards and many precious lives were to be sacrificed; but the morale was with the supporters of the Union ever after.